Self-guided group tours are always welcome! For best service and speedy check-in, please contact the museum in advance of your visit. 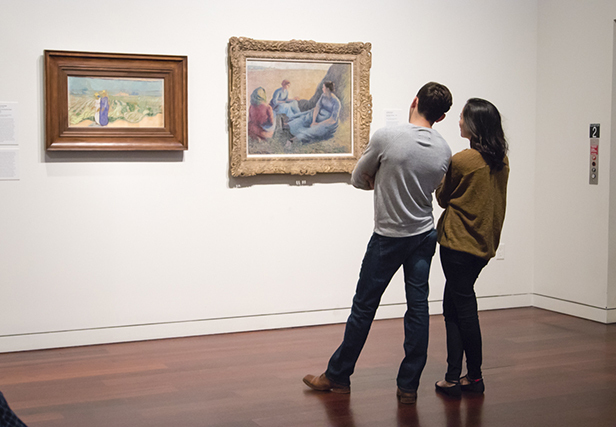 Call 210.805.1767 or e-mail tours@mcnayart.org to make a reservation for your self-guided group. Use your phone and tour 50 stops in the McNay’s collection. Call 210.547.9720 for English, 210.547.9724 for Spanish. Enter the stop number of your choice, followed by the # key. The fee for groups of 10 or more is $15 per visitor during Special Exhibitions. Students on a self-guided tours are free. For self-guided student groups, a 1;5 adult to student ratio is recommended. Adults exceeding the 1:5 ratio are asked to pay adult group tour admission ($15).